You know how nearly every town claims to be famous for something? Whether a particular food, a popular event, or that rock formation in the middle of town shaped like a duck, every town wants to be known for something. 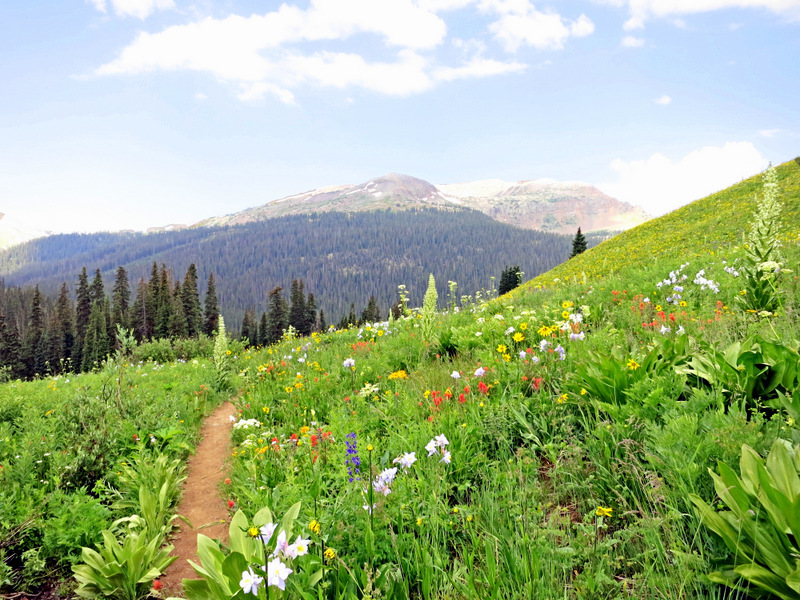 Well here in Crested Butte it’s the wildflowers. 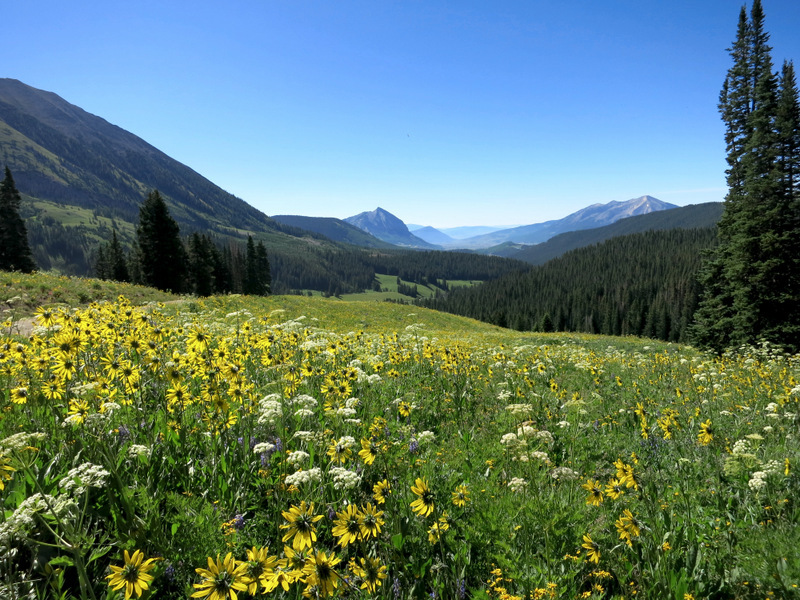 They even go so far as to call themselves the wildflower capital of Colorado. Often these claims to fame are not much more than hype to bring in visitors, but I am here to tell you that this wildflower thing is the real deal. Seriously. It’s like a wildflower explosion around here! Field after field of bright blooms line the roads like colorful picnic blankets spread across the land. You will find them tucked down in ditches, slumbering in the shade of an Aspen groves, and way, way high up in the mountains. Wild Delphiniums on the side of Gothic Rd. Last year we visited in the middle of June when wildflower season was just starting. 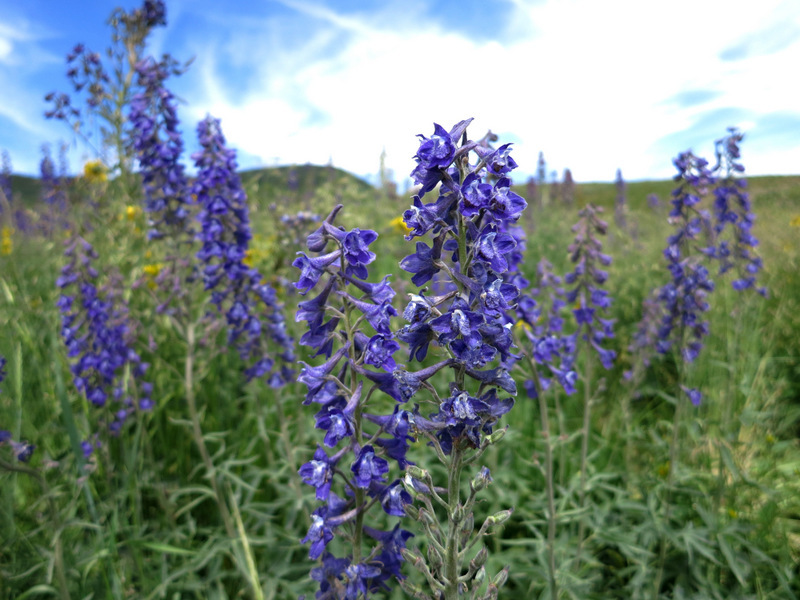 At the time I was impressed by the pockets of purple lupines, a smattering of sunflowers, and the occasional blooming columbine. Little did I know that a month later the entire area would be an explosion of color like I have never seen before. Well…I guess I did know because this town doesn’t try to keep their wildflower legacy a secret by any means. It’s pretty hard to come here at any time of year and not hear about the wildflowers. 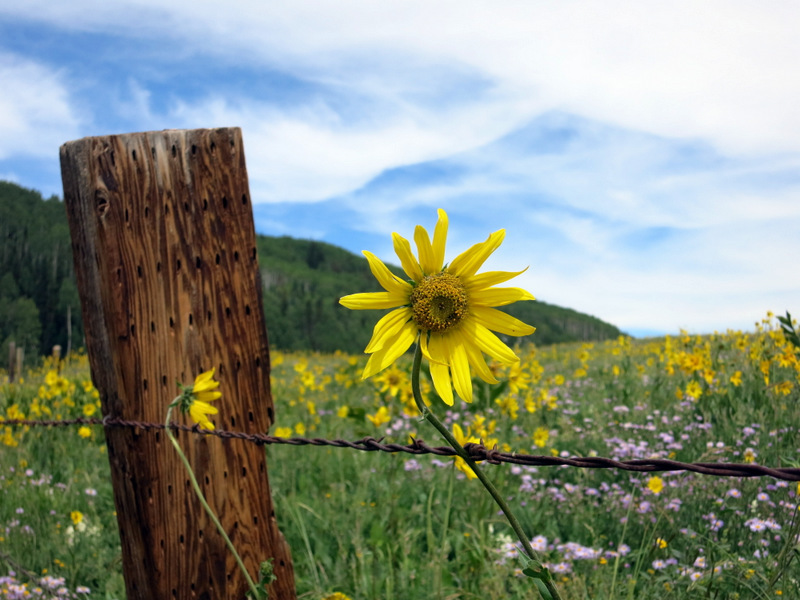 They even have a Wildflower Festival with workshops, hikes, and photography classes. We missed the festival by a week, but that’s okay because you really don’t need a guided hike or a workshop to enjoy the flowers. Sunflowers & Queen Anne’s Lace high up on Washington Gulch Rd. As is true of all the most beautiful things in life, the only way to fully experience this wildflower mania is to see it in person. Even the best photographer in the world can’t capture the way it feels to walk through a meadow of colorful blooms, or drive down a dirt road lined with pretty flowers waving in the breeze. So while I knew about the wildflowers, and I had seen plenty of photos of this area in full bloom, I didn’t really know. Does that make sense? Well now I know. 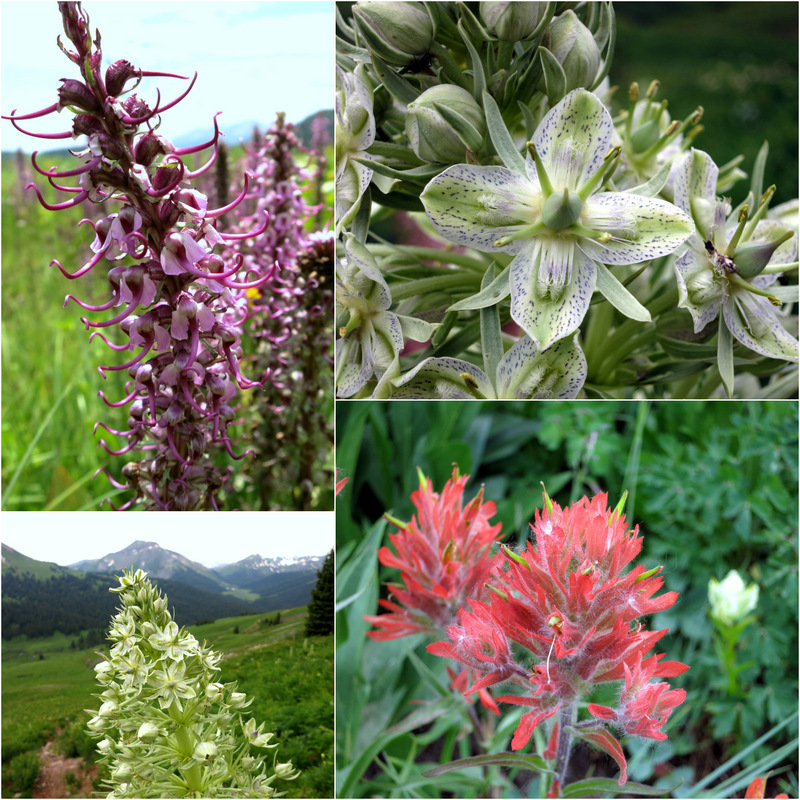 Now I know that in addition to awe inspiring mountains and jaw dropping scenery everywhere you look, Crested Butte also has the most amazing wildflower show ever! Seeing the show is all about the timing and I think we got it just right this year. In fact, I’m patting myself on the back for my stellar planning skills this week (cause I don’t always get it right). Even Tim, who claims not to get excited about flowers, admitted that he’s happy we’re here to witness the show. I’ve been trying my best to get close-up shots of all the different flowers. Not only is it fun to have a record of all the flowers we’ve seen, but it also helps me later when I go back and look up the names. I even discovered some new-to-me flowers such as the aptly named Elephant’s Head flower. 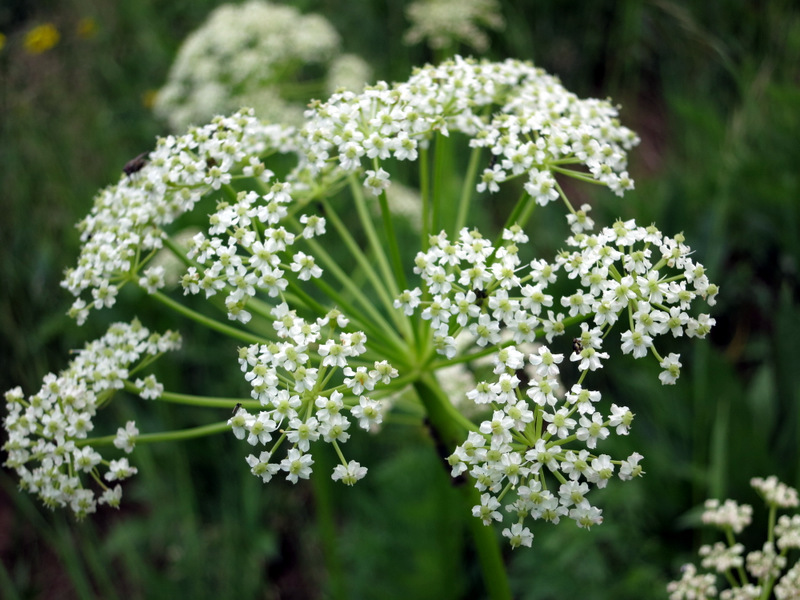 Also the Monument Plant that can reach upwards of seven feet tall and has a massive cluster of the most beautiful blue-spotted blooms. 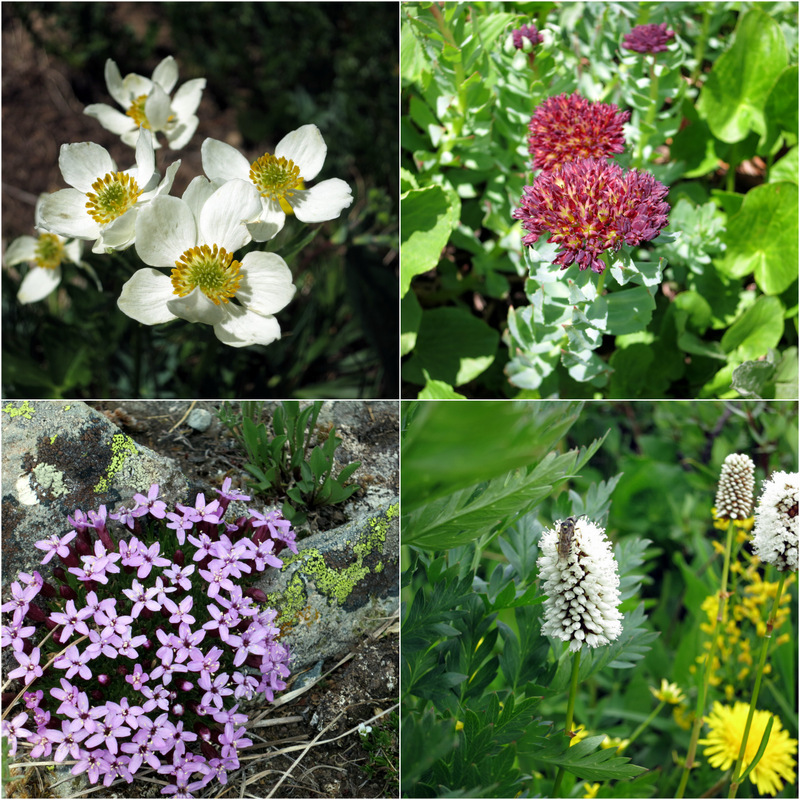 We also came across some alpine flowers that grow only above the tree line at high elevations. It’s ridiculously easy to enjoy the wildflowers by simply driving around town. Like I said…they’re everywhere. But since we are surrounded by impressive mountains, we decided to hike a few of them and see if we could find even more wildflowers. We could and we did. This photo was taken up at nearly 12,000′ on the Scarps Ridge Trail. 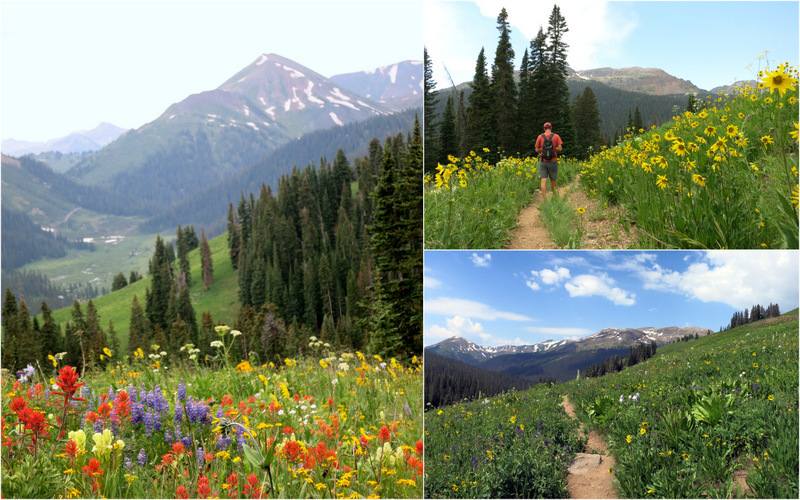 We also hiked the West Maroon to Hasley Pass Loop which passed through mile after mile of waist tall flowers in a mountain valley high above the tree line. 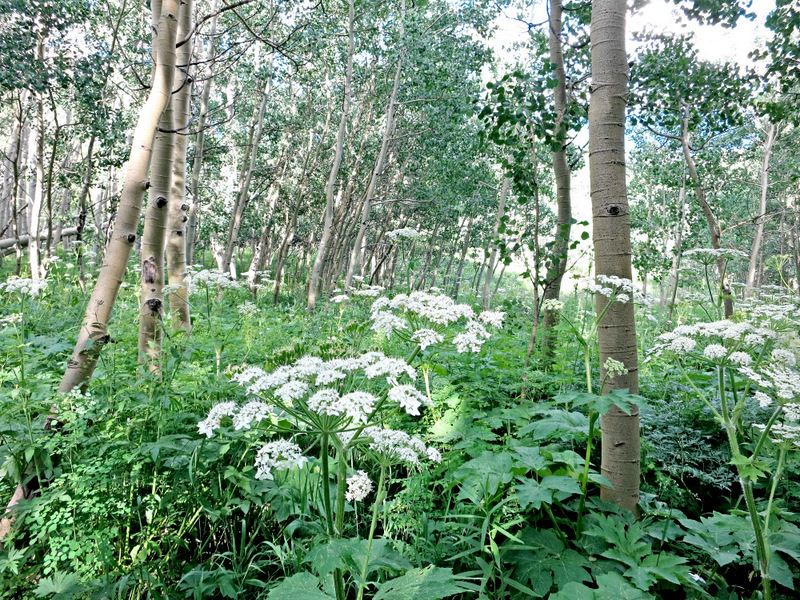 Finally there was the Snodgrass trail where the lacy blooms of Cow Parsnip flourished in among the Aspen groves. 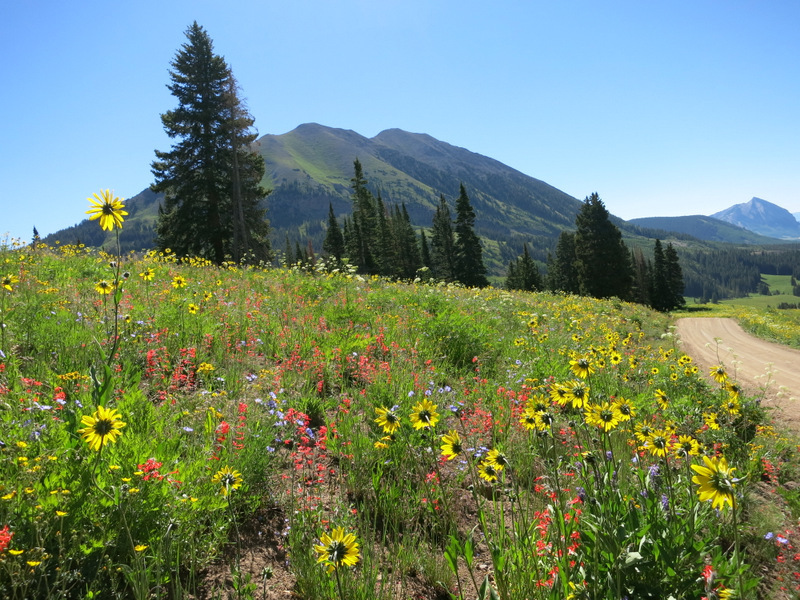 So now that we’ve seen it with our own eyes, I can confirm that yes, Crested Butte really is the wildflower capitol of Colorado. I hope you get to see it one day too! Oh WOW!!! As a wildflower lover, I’m grateful to you for sharing this beauty. Excellent job with the photos and ID’ing all of the plants! This is absolutely going to the top of the list of places we want to visit — hope we can time it just right, as you did. It reminds me of Mt. Rainier — we happened to hit the perfect wildflower peak there a couple of years ago in August. Great hiking and gorgeous flowers there, too. I just saw some photos on another blog from Mt. Rainer with some pretty flowers. Definitely a place high on our list of must sees. I am glad you enjoyed the photos. 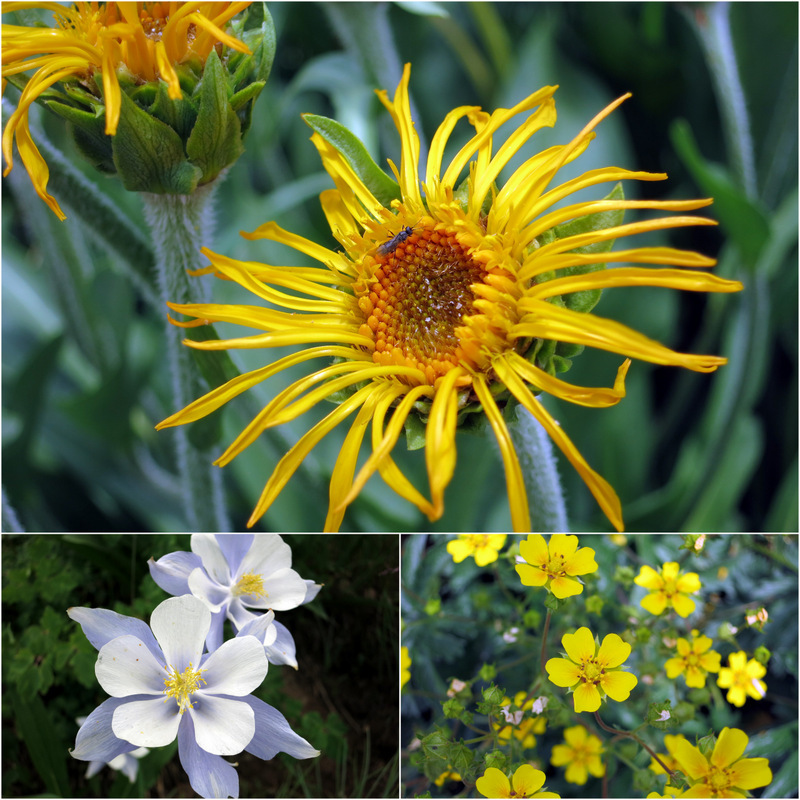 The Crested Butte Wildflower Festival website has a few nice online guides that make identifying the flowers really easy. I always love discovering new to me wildflowers. Glad to know it’s an official designation. As you said, very well deserved. We are very much enjoying our time here and look forward to returning again and again! 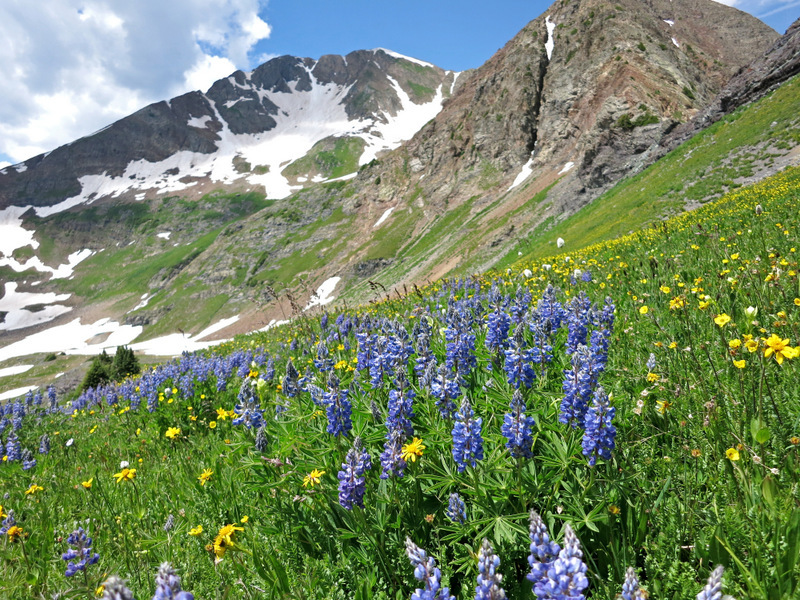 I thought Yankee Boy Basin was the wildflower capital! You’ve proven me wrong and made my longing for a return trip to Colorado stronger. Thank you for sharing your adventures! Ditto what Grace and Laurel said. What an amazing sight. I can’t wait to experience it myself with all my senses. Beautiful photos, Amanda! Thanks Joanne! I hope you make it here- July is definitely the best time to visit. Fantastic photos, Amanda!! Just beautiful!!! The only time we’ve been to Crested Butte we got there the week after the peak. Gotta go back!!! Also, what kind of camera do you have?? 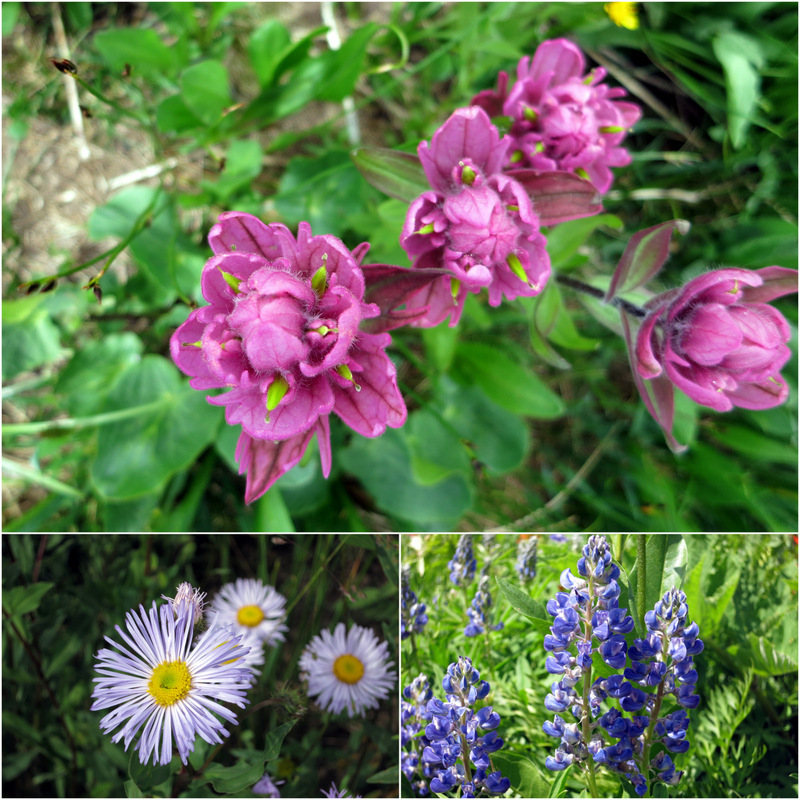 I have never seen so many beautiful, bright flowers as we saw around and near Crested Butte. It was amazing. I love your photos and the fact that you know the name of so many flowers. My post had the nice pics, but i didnt know many names. but, now i know thanks to you! Such a beautiful area! I’ve also never seen as many wildflowers in bloom as I have around here. I always love to learn the names of the flowers that we discover. 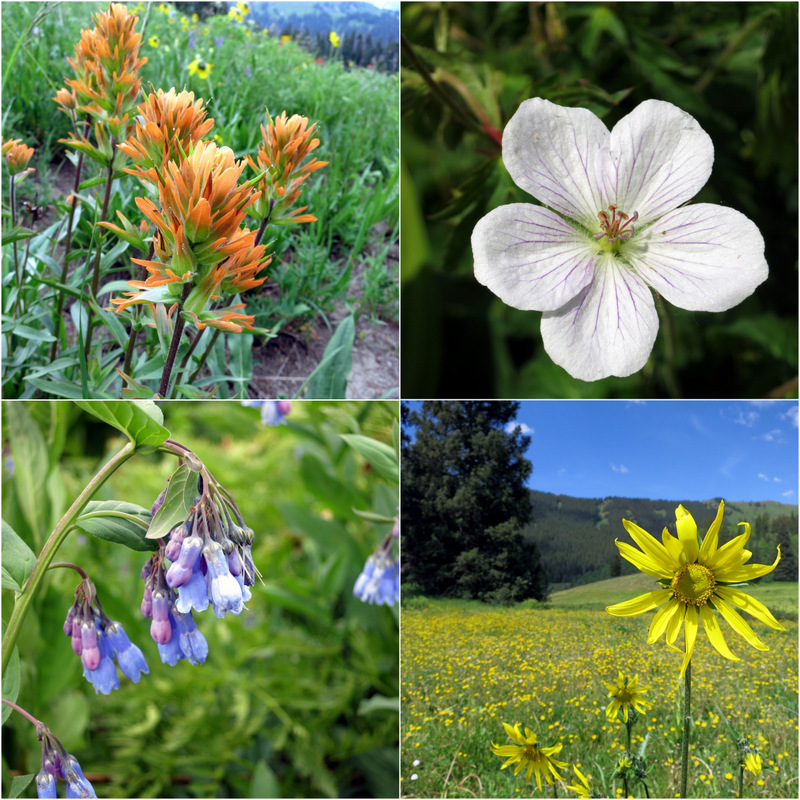 Sometimes it takes hours of searching, but this time the wildflower festival website provided me with a handy identification guide making it easy. W O W !! Couldn’t be more gorgeous! Haven’t been to Colorado for a while. Looking forward to some great hiking next year. Wow! Beautiful. I love wildflowers! And another reason to love Colorado. I can’t wait to go there again.